Last night I attended the first rehearsal for the Spring 2018 season with the Hinsdale Chorale. Our spring program “The Joy of Music” will be presented on April 28 & 29. I’m so glad to be singing seriously again (after taking a break for health reasons). 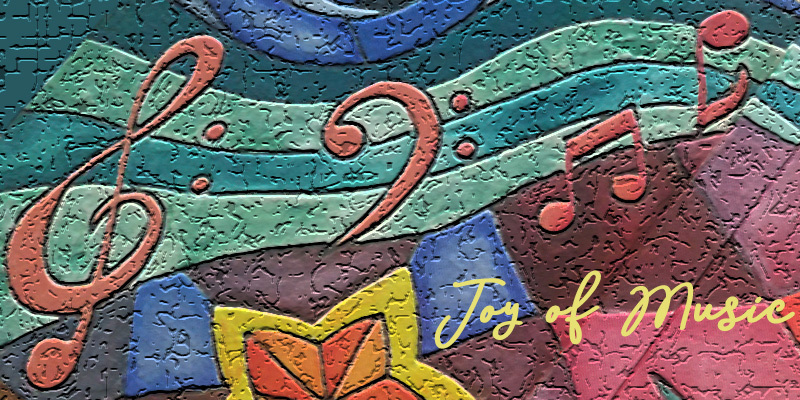 Music and singing really are good for my soul! I’ve been singing with Hinsdale Chorale on-and-off again since 2012. It has been quite the adventure seeing this community chorus evolve through the years. I’ve seen different directions and leadership the chorus has been through. At the heart of it all is always a love for music and performance. Here are some videos of the group’s performances. 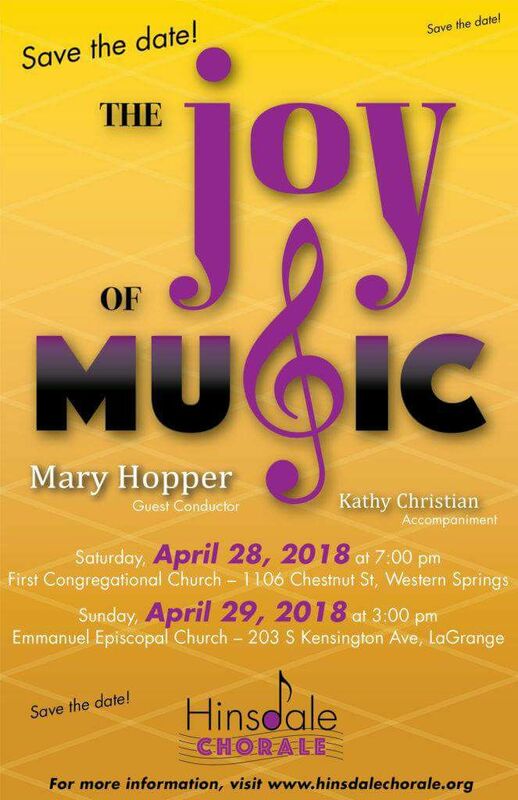 Our guest director for our spring concerts is Dr. Mary Hopper. I really enjoyed the first rehearsal with her last night and am looking forward to working with her through the season. Here’s to making beautiful music!